Following a fire on a Cross Country train at Brockenhurst, all lines have now reopened. 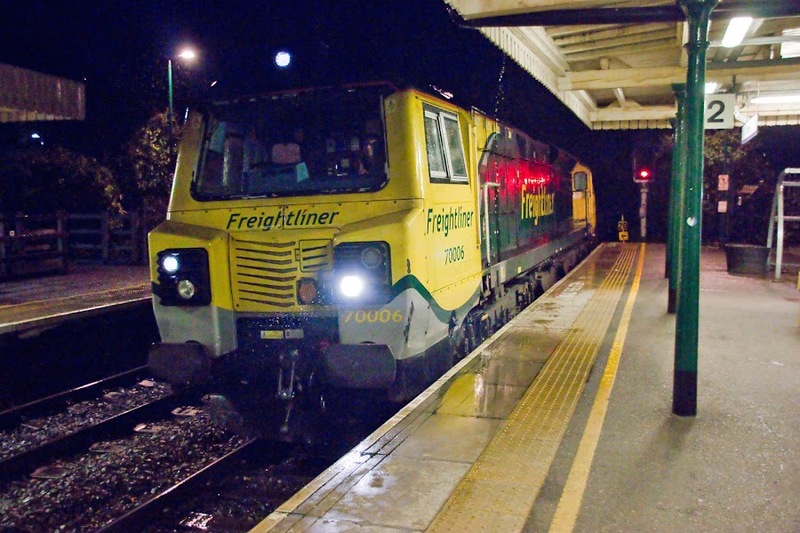 Train services running through this station may be cancelled, delayed or revised. Disruption is expected until 16:00 26/11. 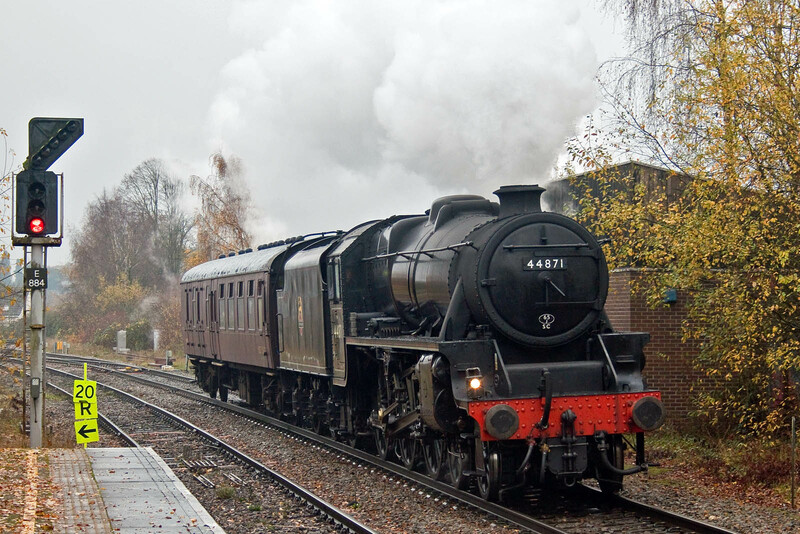 We have been informed that there was a fire on a Cross Country train in the Brockenhurst area. 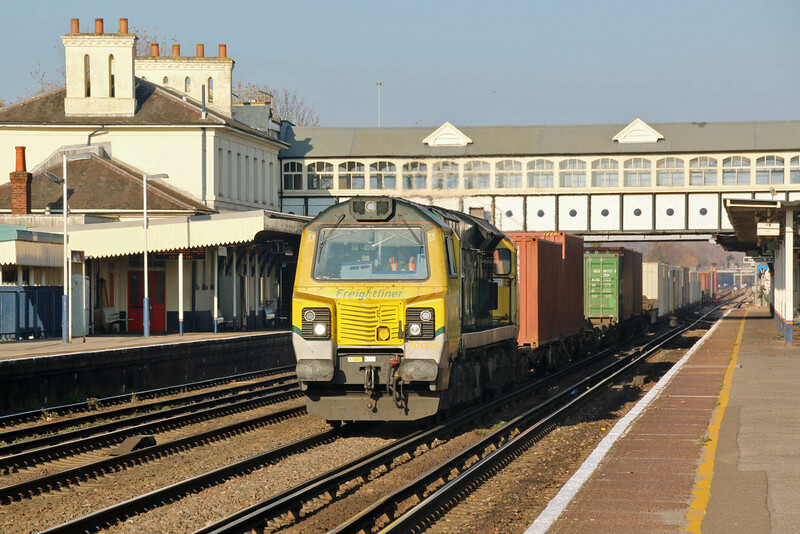 Replacement buses are available running between Southampton Central and Bournemouth. We are very sorry for any delay that this may cause to your journey. 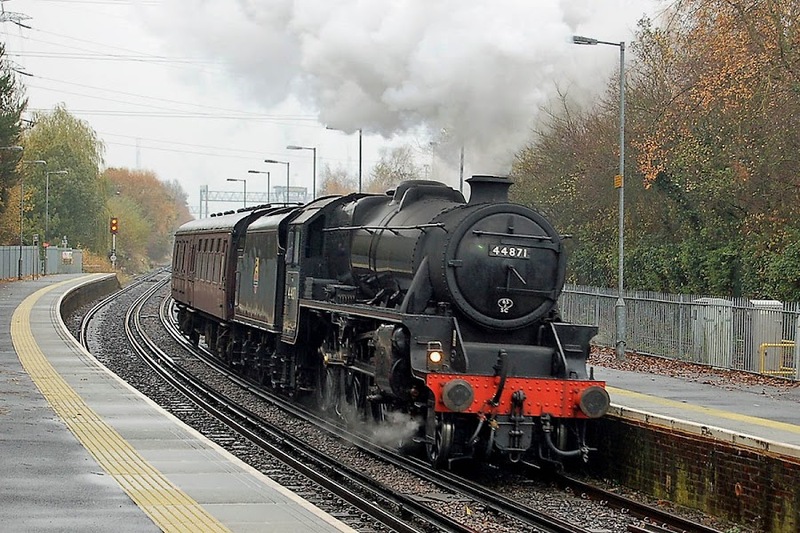 Passing Redbridge, about to cross over to the Test Valley line. Image by Ian Knight. 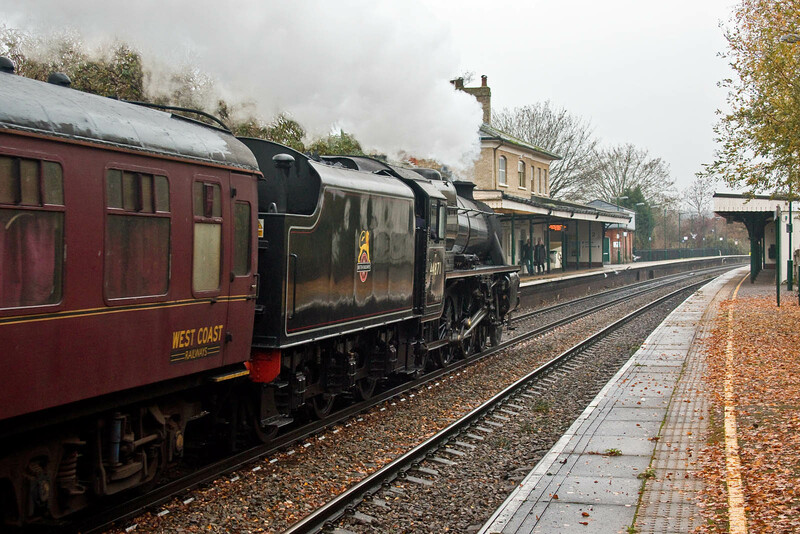 Three pictures, approaching and passing Romsey. 44871 was completed by the LMS at Crewe in 1945. 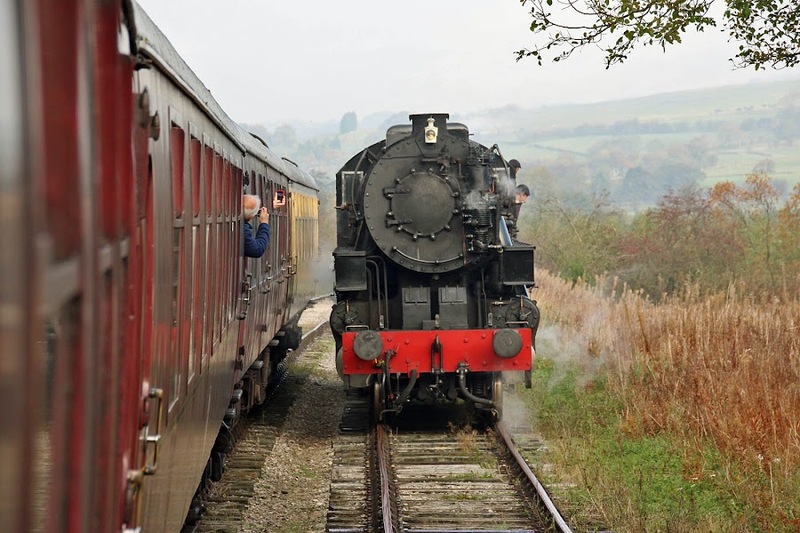 In July 1968 it was finally reallocated from Bolton to Carnforth, prior to hauling the Fifteen Guinea Special, which was the final curtain for BR steam on 11th August 1968. Support coach 99035 was BSK 35322 built to Lot 30699 at BR Wolverton in 1962.Withdrawn from BR service in June 1988, becoming support coach for 70000, running as 99035 since July 1992, for a while in the Queen of Scots train, before sale to West Coast in 2008. 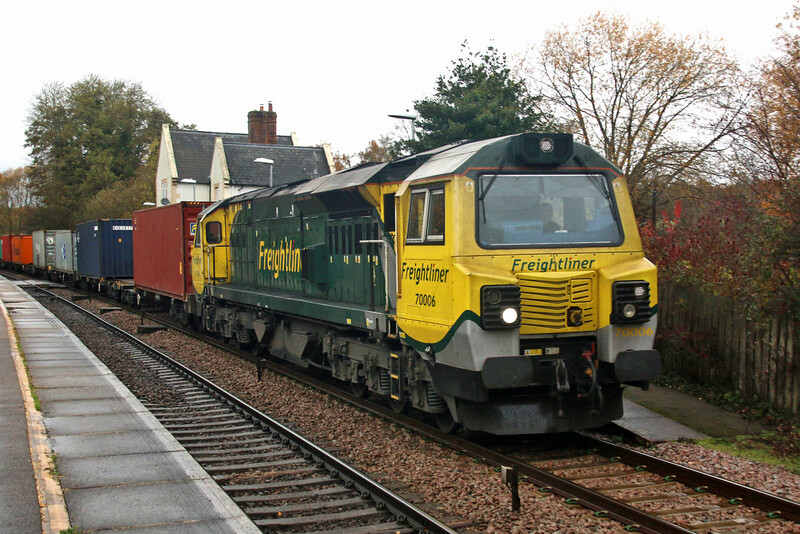 59203 passes Romsey with 7O40 13:35 Merehead - Eastleigh, 23rd November. Bright lower sunshine at Eastleigh on a Saturday morning, however no 4O27 from Garston, following no northbound 4M98 on Friday. 66740, 66770, 59003, 70810 & 70816. 66508 4O14 07:20 Lawley Street - Maritime. 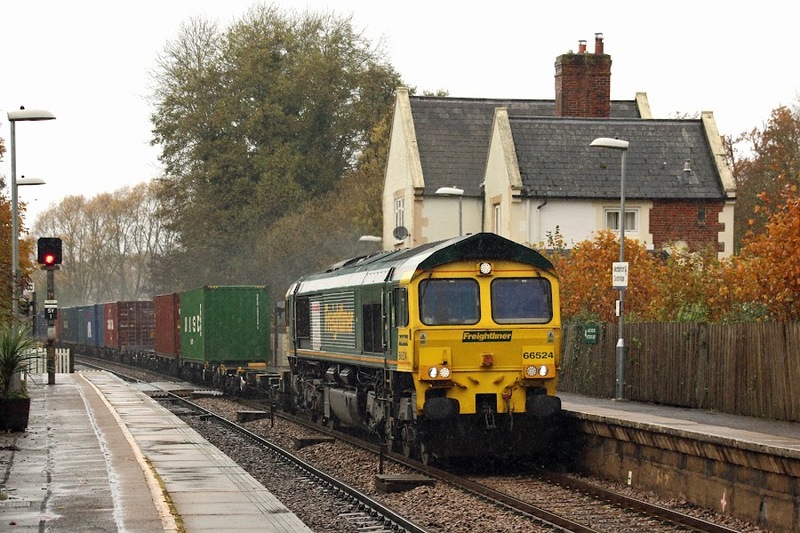 66558 0O26 / 0W26 10:50 Hinksey - Maritime. 70005 4O90 05:27 Leeds - Maritime. 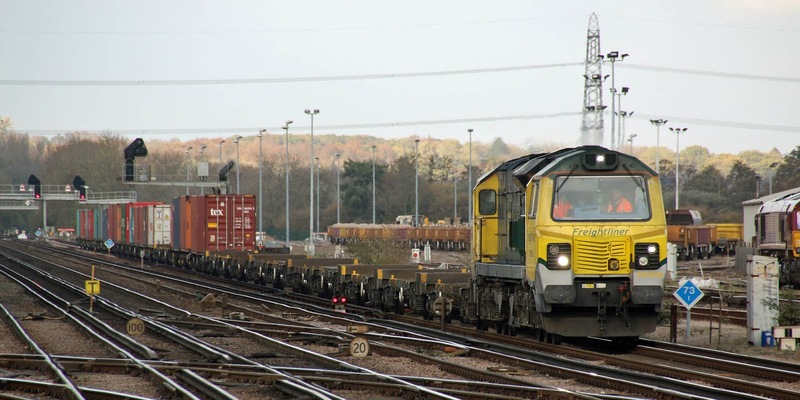 66092 4O40 10:44 Morris Cowley - Eastern Docks. 66547 4O29 08:50 Basford Hall - Maritime. 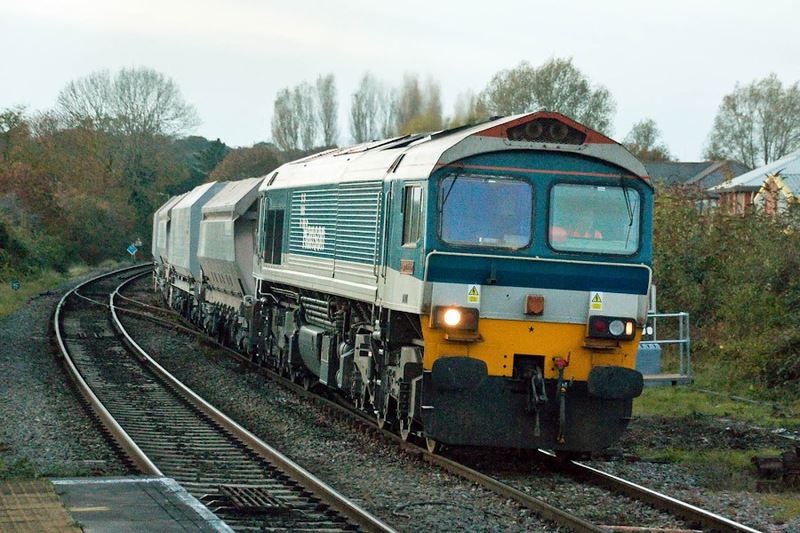 TIPH 93405 is a KFA wagon. 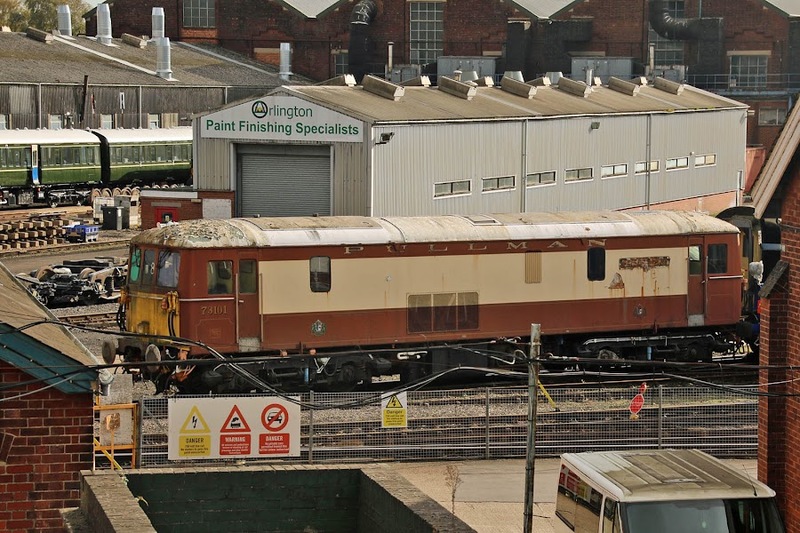 It looks a bit tatty, and the wagon number board is not to the typical standard seen in the Touax wagons maintained at Eastleigh. 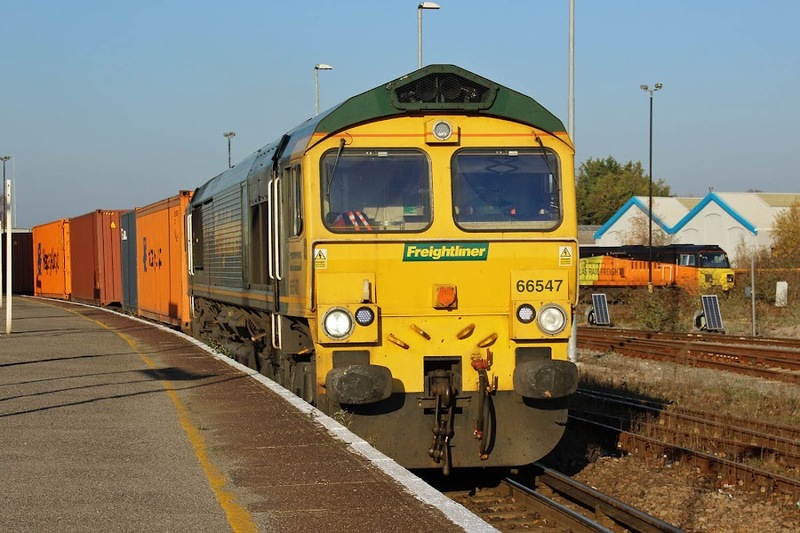 In 2013 it was reported to be stored at Long Marston, but in 2017 it was in a 6Z50 train formation, rather than the more usual Class 4 for liner trains. Is it about to enter the works, or is it in civil engineer's service? 59002 ALAN J DAY passes Romsey with 7V07 12:41 Chichester - Merehead. 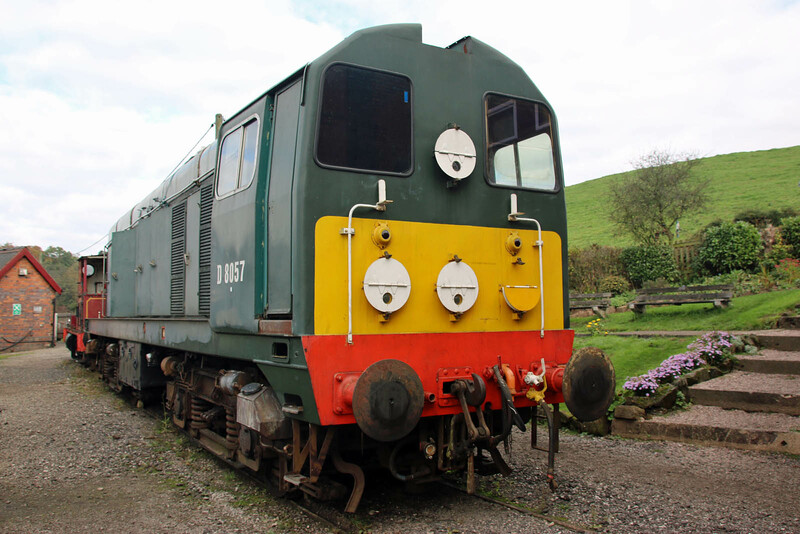 60062 Stainless Pioneer is covering some Mendip stone workings, as there is an apparent shortage of Class 59 traction. 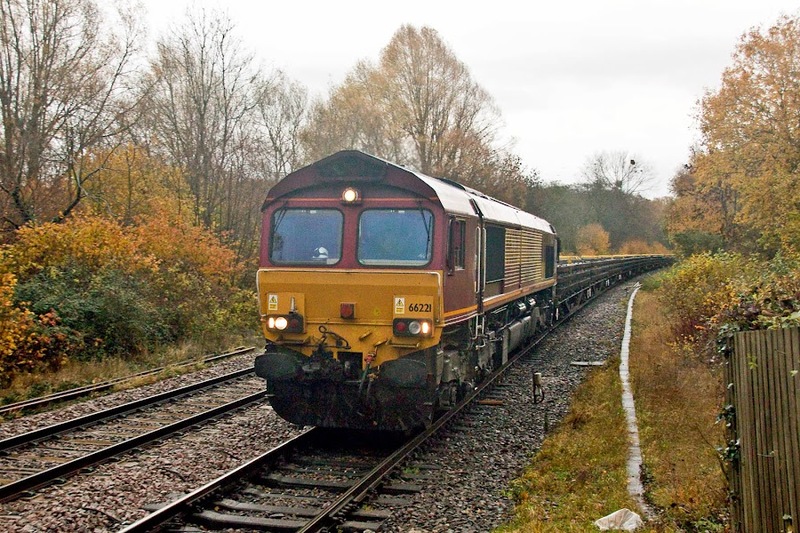 Here it leads 7O40 13:35 Merehead - Eastleigh on 16th November. It is possible that 60062 has made further nocturnal workings. A bit of a damp day. 66524 4O14 07:29 Lawley Street - Maritime. Also seen by Mike Lalley. 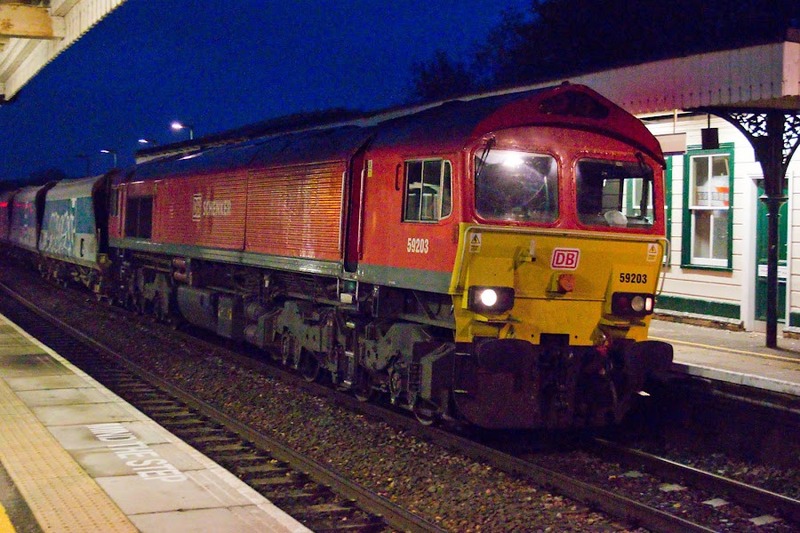 70006 4O27 05:21 Garston - Maritime. Again also seen by Mike Lalley. 70006 had worked north on 4M98 on the day before, arriving at Garston at 00:35. 66558 0Z26 10:20 Hinksey - Swindon -Melksham - Westbury - Maritime. A 6O26 Hinksey - Eastleigh was in the timetable, running vi Petersfield, and the light engine was then to route via Fareham to Maritime. This working became the alternative with no load. So wet and dark at this time that I had taken to the protection of the platform shelter. 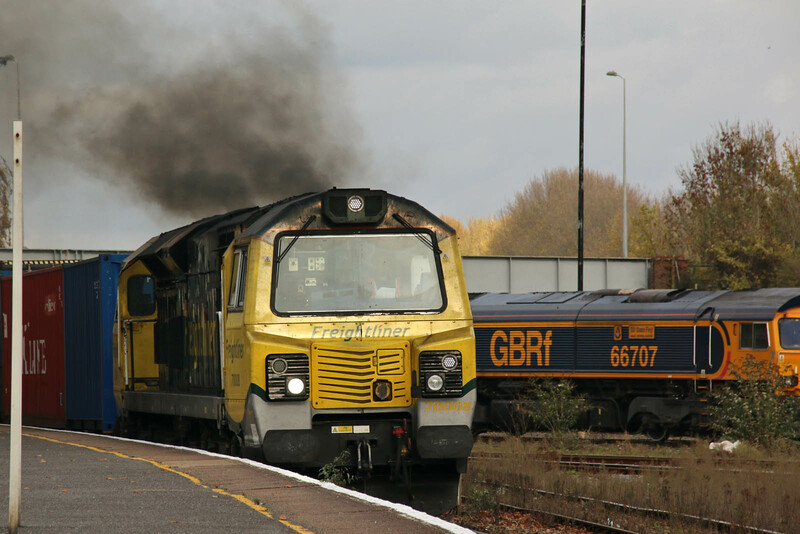 70015 4O29 08:50 Basford Hall - Maritime. 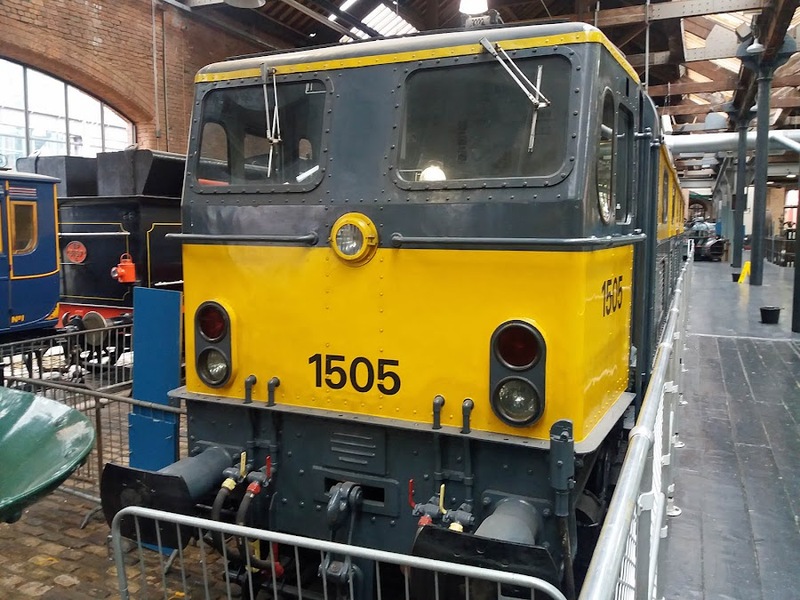 This locomotive was reinstated from storage last week. 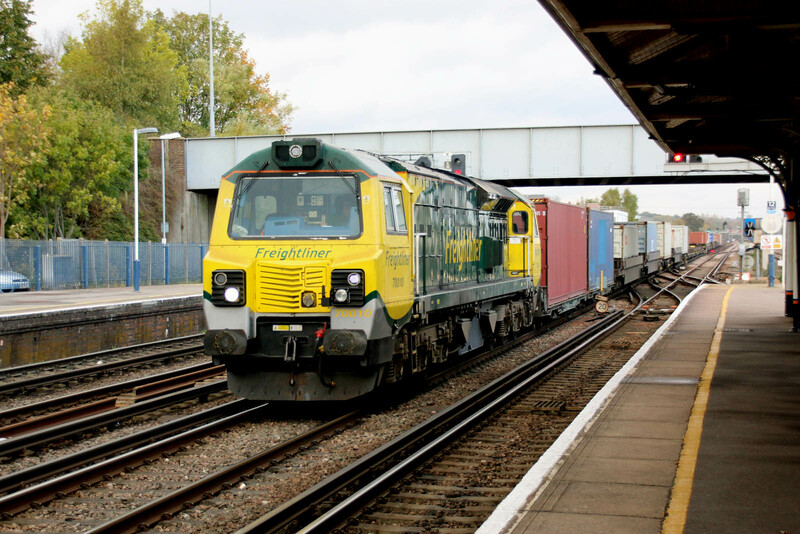 66221 6N01 14: 25 St Denys - Laverstock - Woking - Petersfield - Eastleigh East Yard. Seen earlier at St Denys. 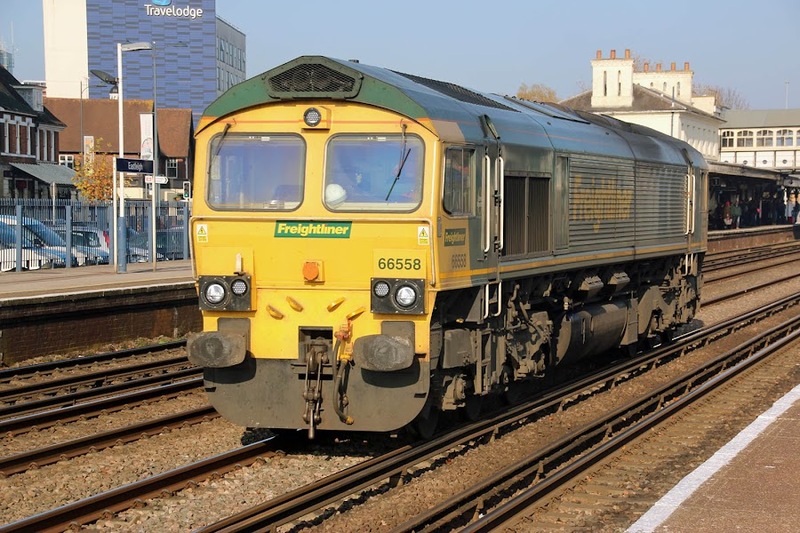 66221 had worked light engine 0N01 from Westbury to Eastleigh on Friday evening. No Leeds, Margam or Mountfield services, although these were in the timetable. 70006 passes Romsey with 4M98 17:30 Maritime - Garston, 9th November. It's possible that 60062 may have had other nocturnal workings. 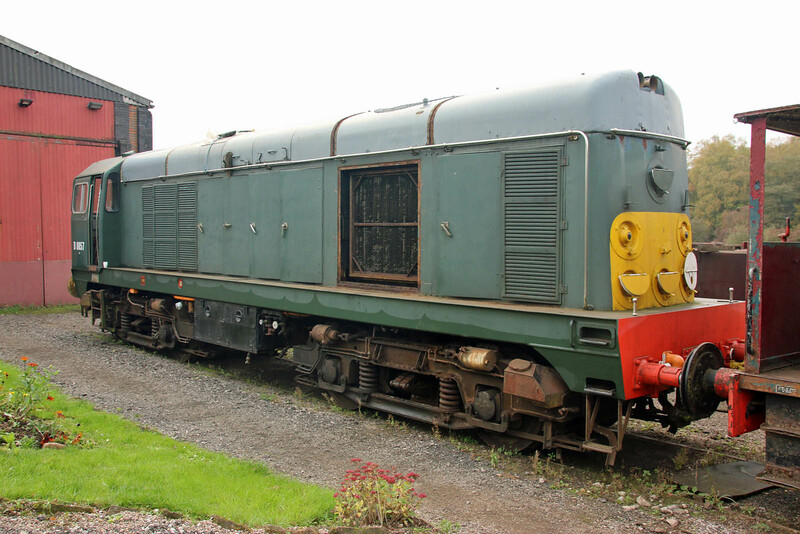 20057 (D8057 delivered in May 1961 to Sheffield Darnall, withdrawn 1994) has had a nomadic retirement, where I have previously seen it at Long Marston and Butterley, and it was at Barrow Hill as well. The engine is currently removed for overhaul and repair, in the adjacent shed, but it it appears that this will be a challenging restoration. Former Eastleigh allocated 33102. 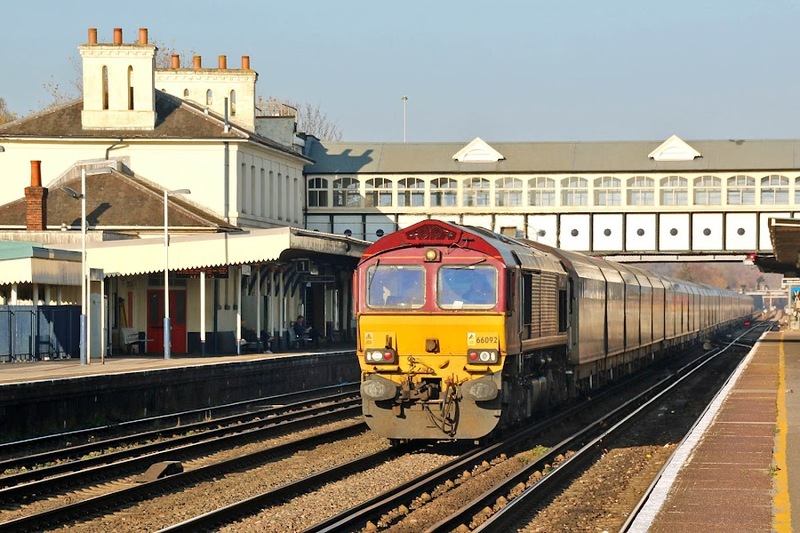 I recall this working with the "Swedish Scrubber" at Salisbury in the early 1990s, for which it was dedicated locomotive, with smoke emerging from the bogies / underframe which did not look encouraging. 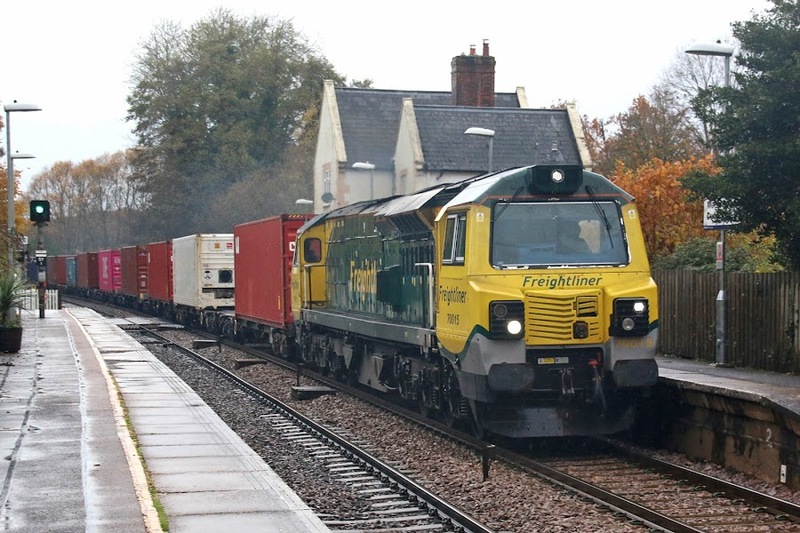 I don't recall a train consist like that once seen at Grateley. Withdrawn 6th November 1992, and now preserved at the Churnet Valley Railway for 25 years. When seen it was poorly, but was revived by the middle of the day. 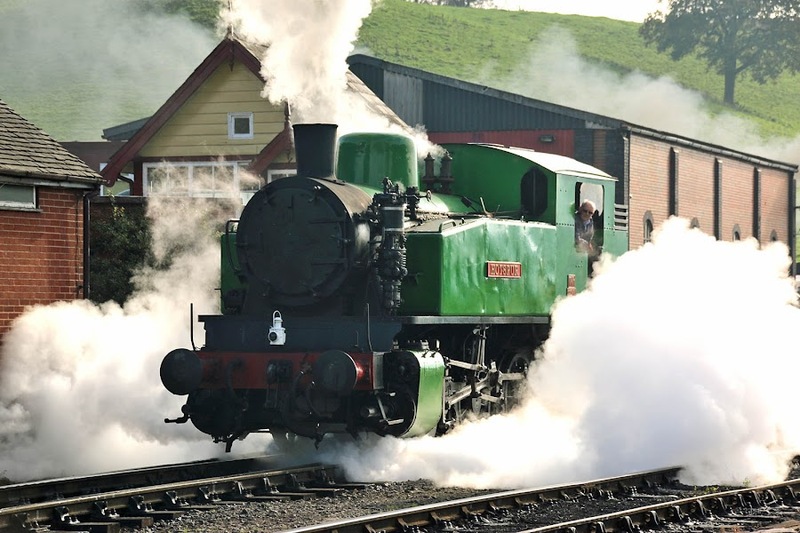 6 Roger H Bennett is a Yorkshire Engine 'Janus' (works no. 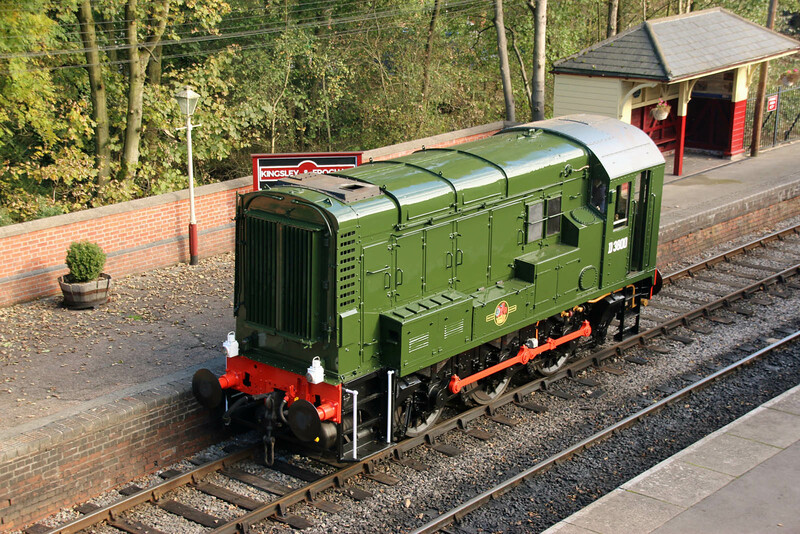 2748 of 1959), which arrived at the Churnet Valley in 2008. D3800 (BR Derby, December 1959) is the former 08633. 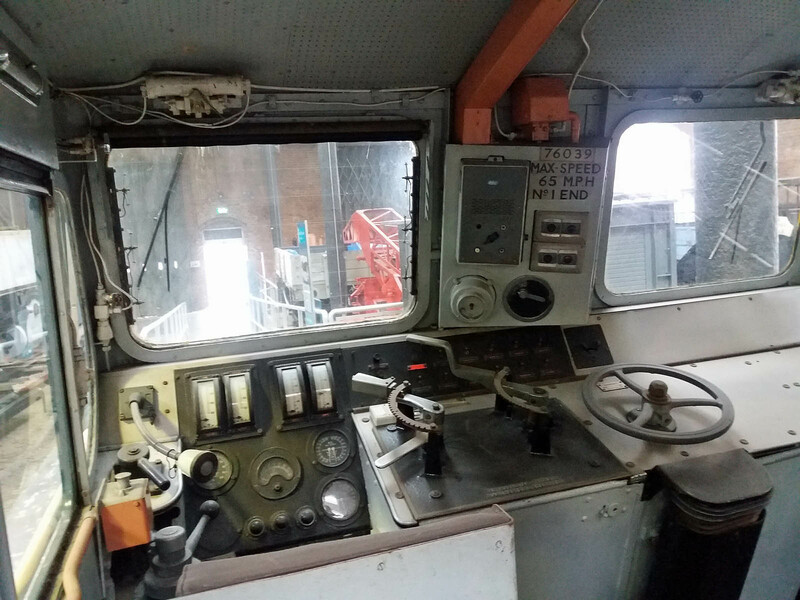 Latterly it was shunter at Axiom Rail in Stoke. The vacuum brake has been reinstated in preservation. 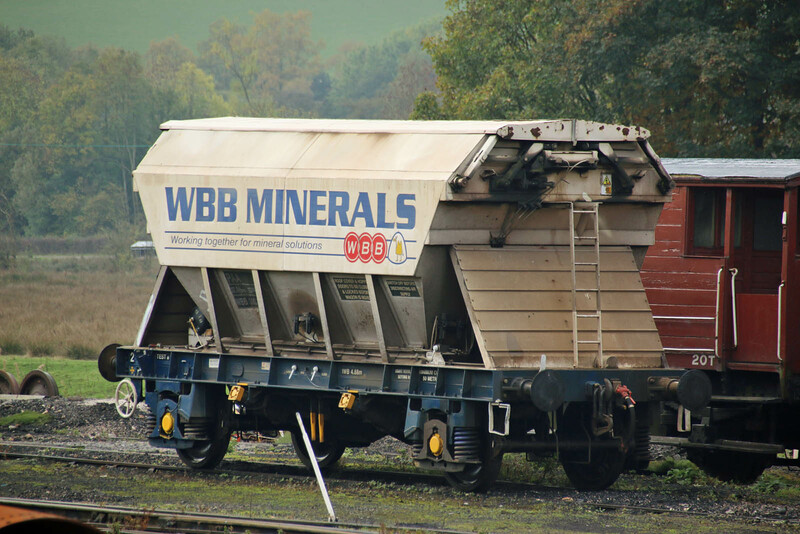 PAA 4 wheel open sand hopper wagon WBB 30025 (formerly BIS 7954) was part of orders split between Standard Wagon and WH Davis in 1981-83 (this example appears to be from WH Davis). 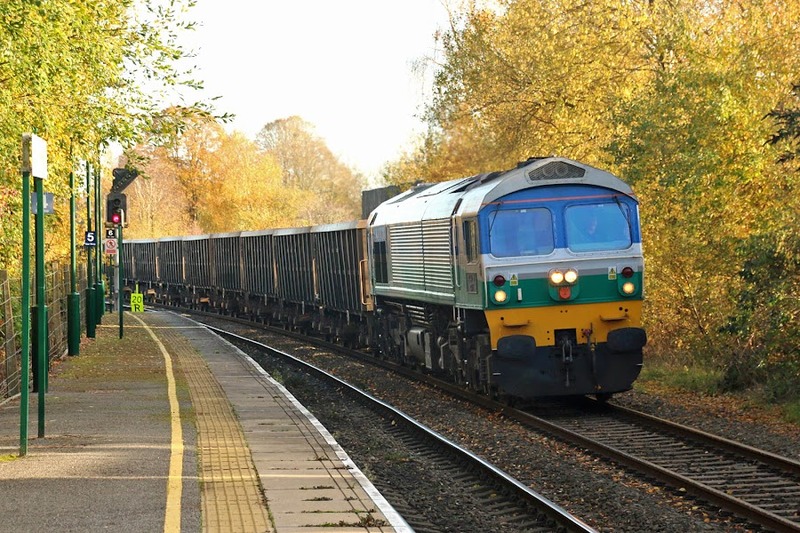 This type of wagon was the last to carry sand from Oakamoor in 1988 when the traffic ceased to go by rail. 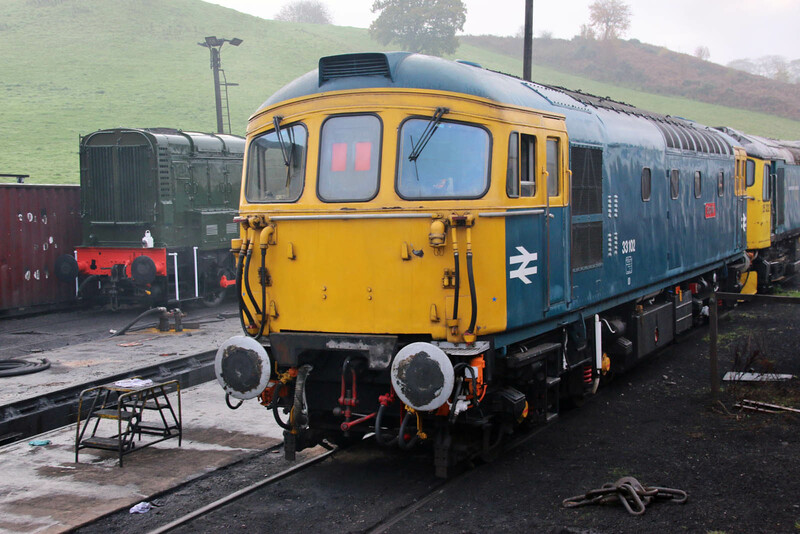 Diesels on the Churnet Valley Railway. 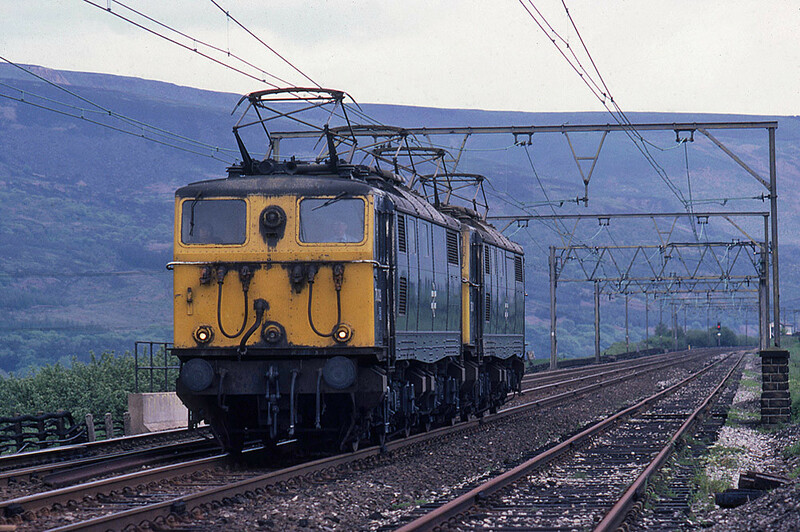 Two shots of 70008 starting away with 4O27 05:21 Garston - Maritime. 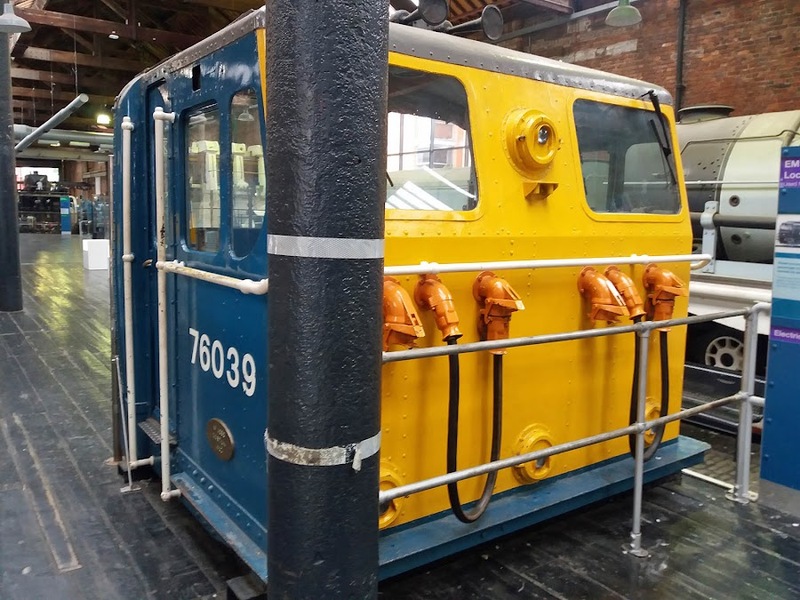 70008 returned to traffic in June with clean bogies. This is believed to be 70010's first working 4O90 05:27 Leeds - Maritime after return to service from storage, into which it was placed in May. The bogies are not clean. G&W report "Return of remaining excess equipment now less likely due to strong commercial demand" & "Hiring and training of new U.K. locomotive drivers top priority for new and existing business". 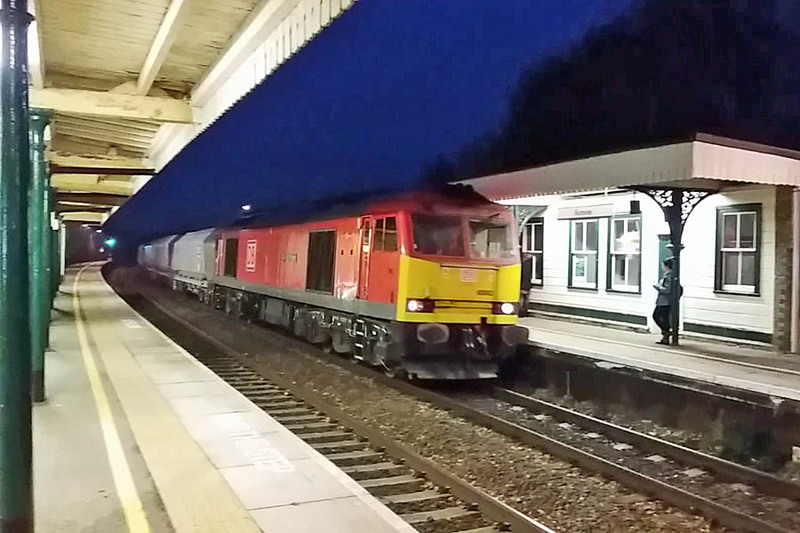 70006 trundles in with 4O29 08:50 Basford Hall - Maritime. 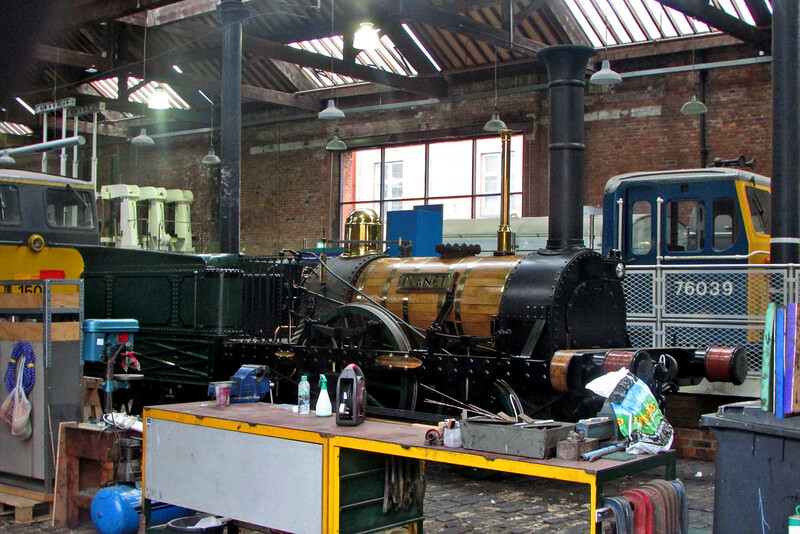 Again this locomotive was stored in May, and reinstated in September. 73101 formerly The Royal Alex, new in October 1965 and withdrawn in May 2002. 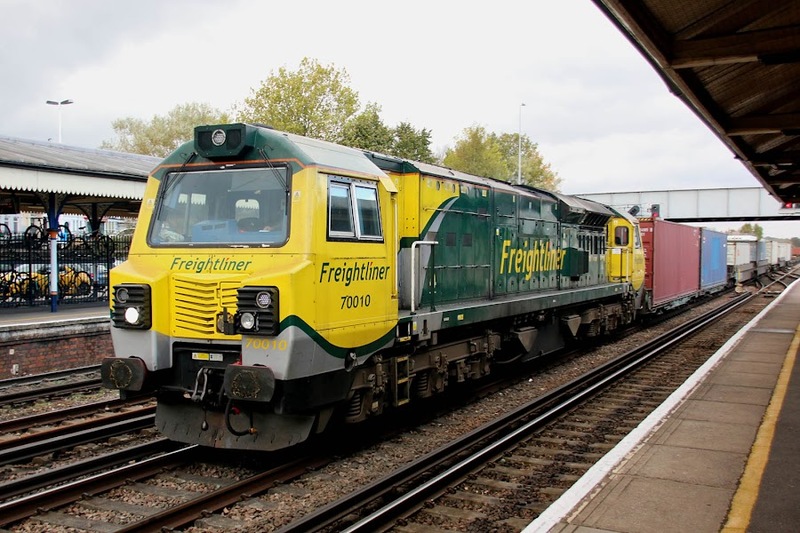 The Freightliner HTAs seen last week appear to be gone, apart from their bogies. 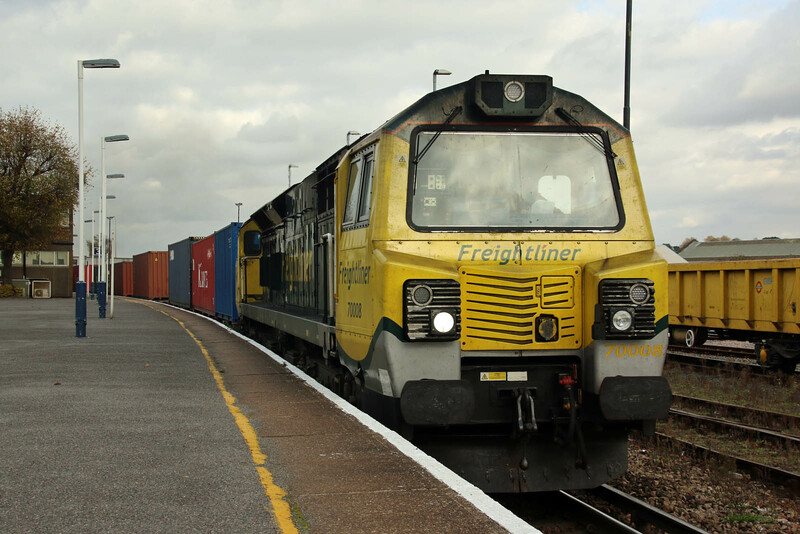 The IIAs from GBRf traffic appear now to belong to Touax, the logos are newly applied. This is 37 70 6791 045-7 built by IRS in Romania in 2008. Returning to traffic for the winter? Similar 37 70 6791 066-3. The Science & Industry Museum, formerly MOSI (Museum of Science of Industry), at the Liverpool Road Station. I had visited the location once before, for The Great Railway Exposition in 1980. 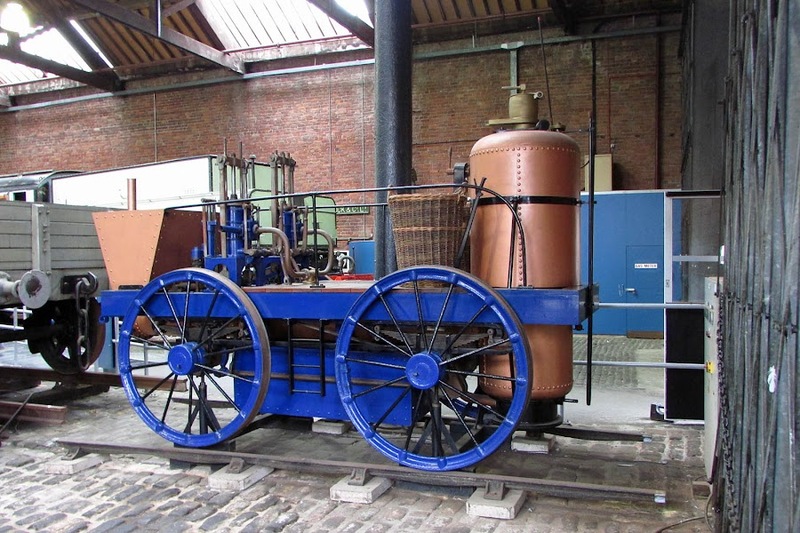 Rocket of 1829, on tour, having already visited Newcastle, eventually headed for York. EM2 (Class 77) NS 1505 (27001) ARIADNE built by BR at Gorton Works, new to traffic in March 1954. Cab of EM1 76039 HECTOR (26048, 76048 ) built at Gorton Works, entering traffic in October 1952. Seen here in BR traffic at Penistone. 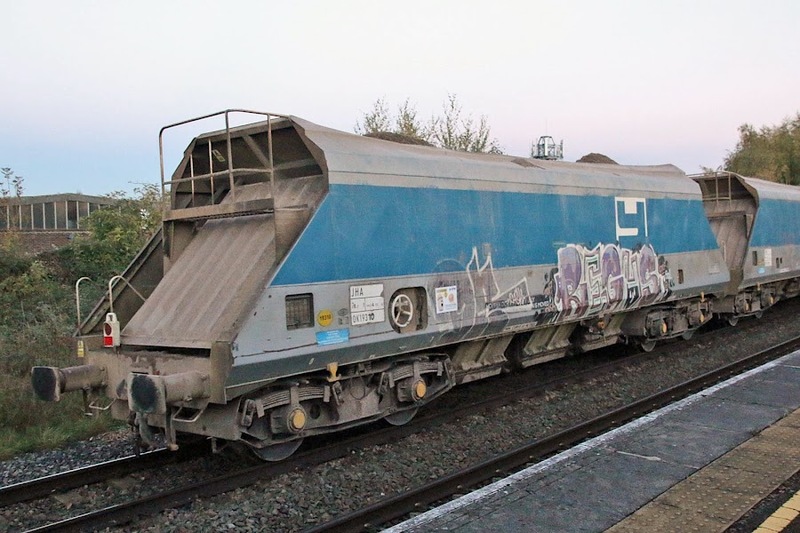 This locomotive latterly ran in an air brake only configuration. 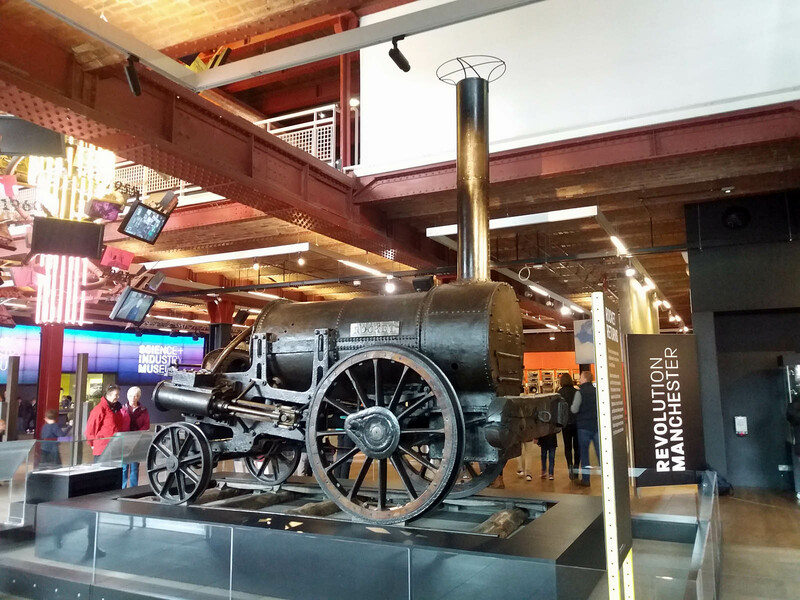 Yes, I do know that Manchester was historically in Lancashire. 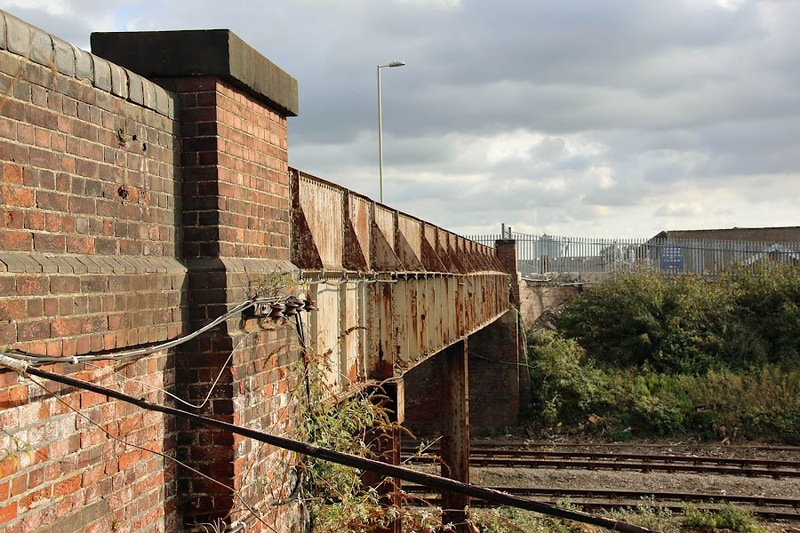 "Network Rail will deliver track renewals at Shawford and Eastleigh, as well strengthening and refurbishing the railway bridge at Campbell Road, Eastleigh." 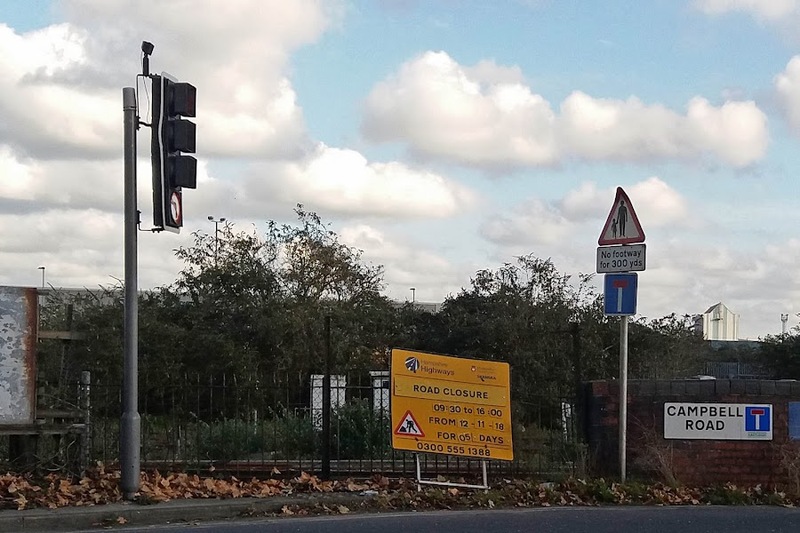 Meanwhile, daytime closures in week of 12th November. 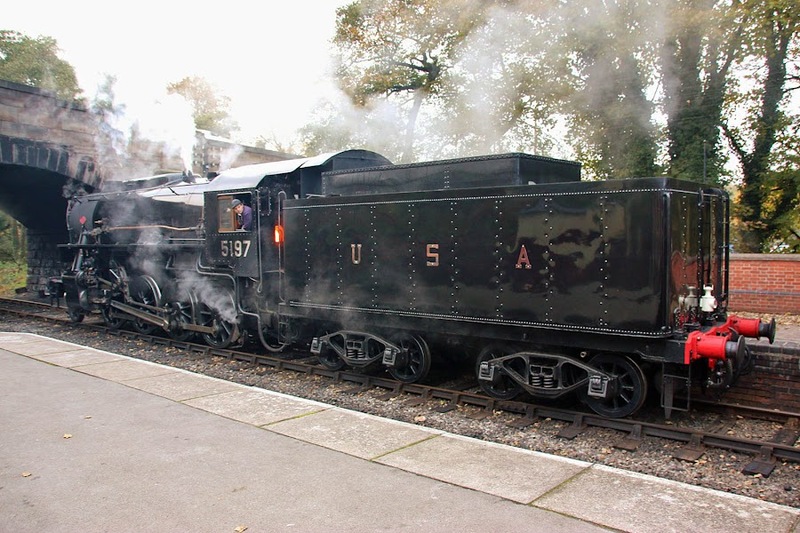 USATC S160 2-8-0 5197 (Lima, 1945) spent its working career in China as KD6.463. 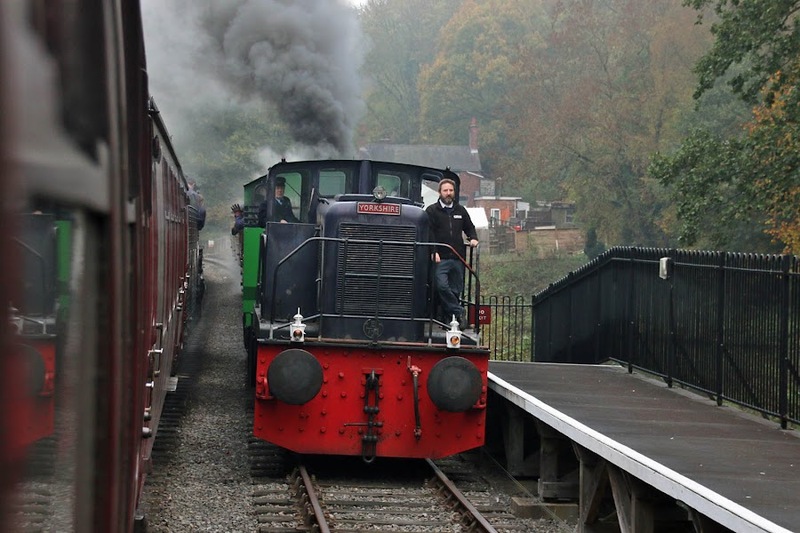 Restored to traffic on the Churnet Valley in early 2017. Seen upon arrival at Froghall. The first train of the day is ready for departure. 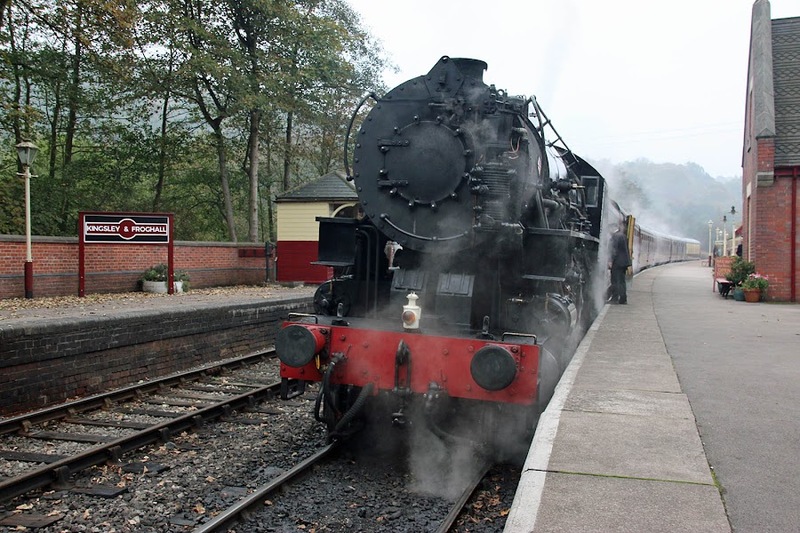 The S160 runs around at Ipstones. Polish TKh49 no. 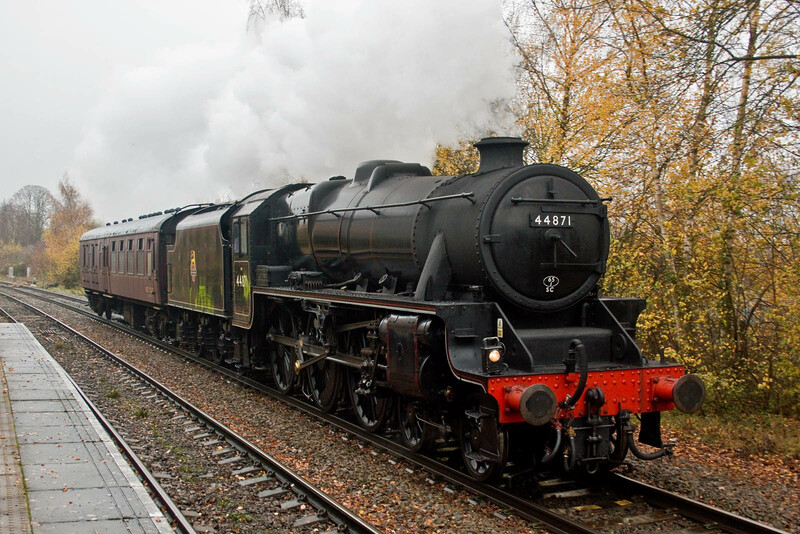 2944 "Hotspur" surrounded in steam at Cheddleton. 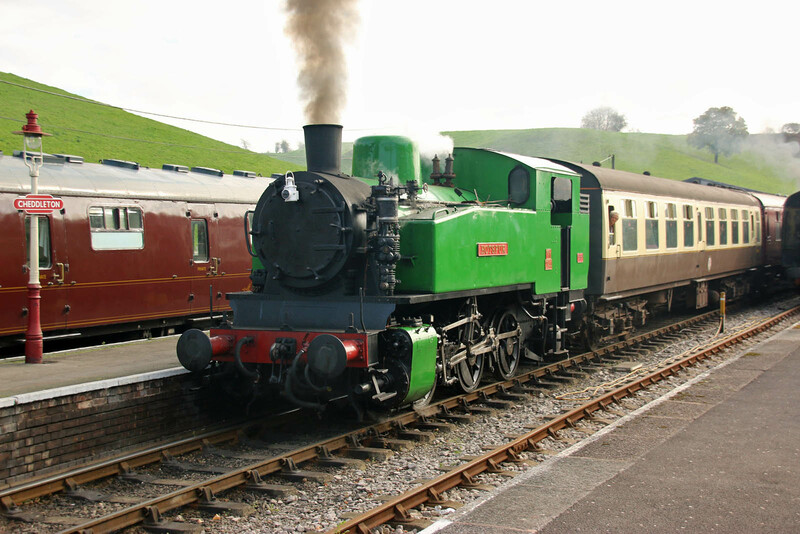 Later, with a train for Leekbrook Junction and back to Cheddleton. 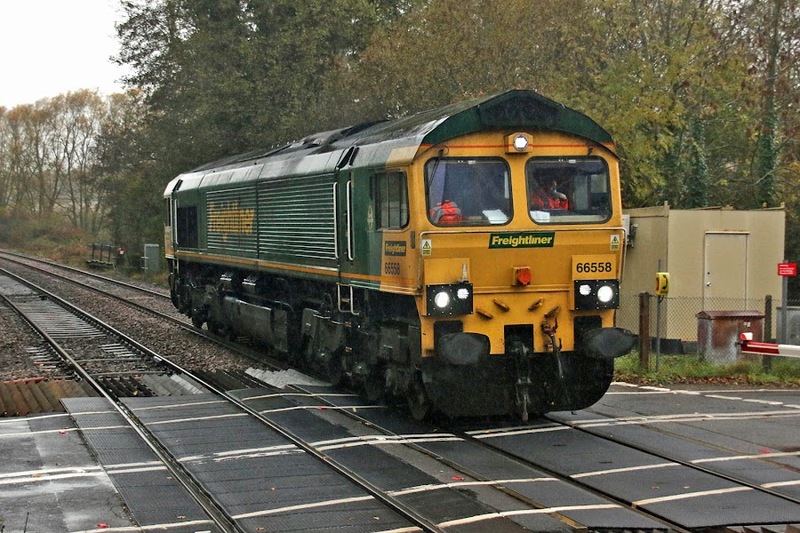 59101 Village of Whatley approaches Romsey with 7O40 13:35 Merehead to Eastleigh, 2nd November. 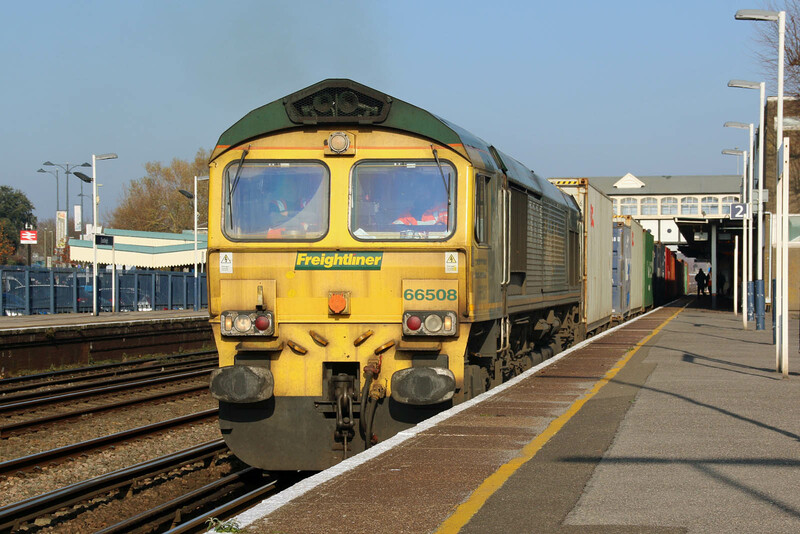 (60062 went to Wooton Bassett). OK 19310 is an "end" JHA, on the tail of the formation.